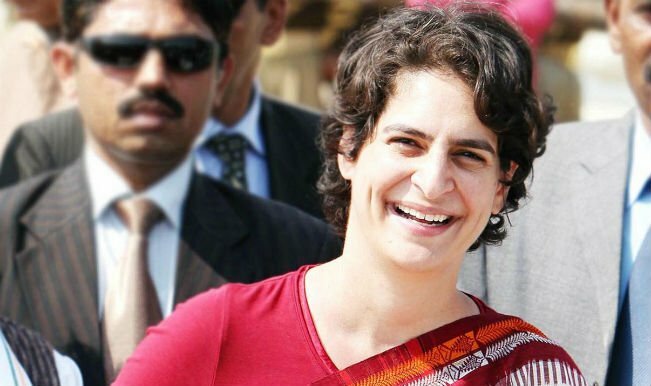 Lucknow: Kicking off her new journey in politics after being made as the party’s general secretary in-charge of eastern Uttar Pradesh two weeks ago, Priyanka Gandhi will conduct a rally in the Uttar Pradesh capital today. Priyanka will be accompanied by the grand old party’s national president Rahul Gandhi and western Uttar Pradesh in-charge Jyotiraditya Scindia during the rally which will march through some of the most congested areas of the city to cover over 30 kilometres to reach Congress office from Lucknow airport. Upon her arrival at the party office in the city Priyanka will address a press conference and launch a new media centre. Ahead of Priyanka’s visit the Congress Party sources had made it clear that, she would start a journey to eastern UP soon after the Lucknow road show instead of returning to Delhi. Congress has wittily introduced Priyanka into the UP politics to encash her so called charisma and voter connect. Moreover, it is also a move of the party to revive the party’s almost defunct grassroots organisation. AICC expects that Priyanka’s entry will benefit Congress in Prayagraj (earlier Allahabad), Phulpur and Gorakhpur constituencies where the party has shown a disastrous performance since 2014.